Ships fast in some popular leather colors and types, including 24 Rustika Zinn and 31 Earth. Himolla Mosel Powered Recliner with Integrated Footstool- Dreams Await! The Mosel Powered Recliner is a customer favorite worldwide. There are many reasons, including the soft, over-padding which allows you to relax for many hours undeterred. Probably the most important feature that is conveniently hidden beneath the surface, is the fantastic lumbar support. It's a well-known fact that without correct lumbar support in your recliner, you will most certainly experience lower back tension or pain when seated for extended periods of time. Let the Mosel Powered recliner gently place you into a healthy, relaxed position daily. Automated multi-motor functionality for smooth, easy recline and footrest operation. The Powered Mosel is particularly helpful to those seeking fantastic lumbar support. Coordinates beautifully with the Himolla Rhine sofa series- Talk about an amazing, healthy living-room! 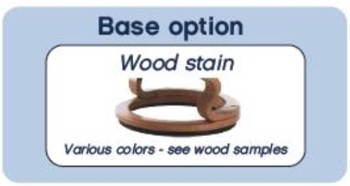 Choose from a wide selection of wood stain colors. There is certainly one to match almost any decor. Adjustable headrest to insure excellent head and neck support. Integrated footstool conveniently disappears under the chair when not in use. Rotates 360 degrees for convenience and for easy entry/exit. Also available in a smooth operating manual version. Recliner frames are completed by hand and built to last. Chair seats constructed with Superlastic Cold Cured Foam (3.4 density memory foam). Himolla Recliners are tested for stability for weights up to 285 pounds. Need a bit more height for your Himolla Mosel powered recliner? The convenient Height Ring extends the functionality of your chair, adding a bit of lift while not reducing the swivel action of the recliner. Many of our customers find that by raising the chair just a tad, they are able to more easily stand up and move out of the chair. 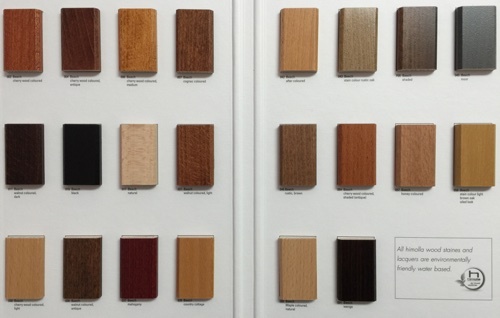 This is especially helpful to our older customers, or to those who are buying for the future. 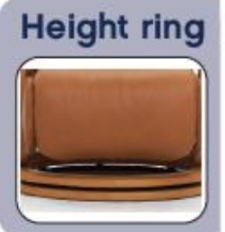 We always recommend trying the chair out first, then adding the Height Ring if needed. After all, the shipping is free in the contiguous United States from Unwind, so there really is no need to order it until you are pretty certain that it will be helpful.